Whatever the skyline, building or experience that first sparked your interest in construction, we are pleased that you are interested in Turner Construction Company. Every Turner project starts with a team of dedicated employees. We are looking for individuals who are eager to develop their skills and apply them together to create the buildings where people play, work, learn and live. Turner is interested not only in candidates with backgrounds related to construction management or engineering, but also those with skills in finance, accounting, human resources and business development. We know it takes a diverse team to build the future and we are looking for all types of talent to contribute. 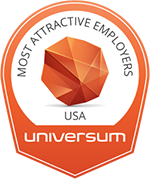 Turner ranks #36 in Glassdoor's Top 50 Best Place to Work 2016 list. This placement is determined solely by feedback from our current and former employees, who respond to survey questions about their job, work environment, and company. The questions focus on everything from compensation and benefits to senior management to work/life balance and company values. Turner earned a score of 100/100 on the Corporate Equality Index (CEI), and the designation of Best Place to Work for lesbian, gay, bisexual, and transgender (LGBT) equality. We work hard to promote workplace equality for LGBT employees. Turner Pride Alliance, our employee resource group for LGBT topics, recently launched a Pride Ally program for employees who support workplace equality. Additionally, required learning about diversity, produced in-house, focuses on LGBT awareness. Turner is an Affirmative Action and Equal Opportunity Employer — minorities/females/veterans/individuals with disabilities/sexual orientation/gender identity.